Are you planning a trip to Disney World but are afraid you will be left to starve? You might think that dining as a vegan in Disney World would be hard. However you will be pleasantly surprised to find out just how many delicious options vegans have while on vacation in Disney. • Do your research. You found us, so I think you’re doing a good job so far. Find out what you can eat in each park and see what others have said about particular meals. • Select Special Requests when setting up your Advanced Dining Reservations to select “allergies,” this will guarantee a meeting with a chef to explain your needs. • Just ask. If you’re unsure if you can eat from a specific place, ask a cast member. They will either direct you to somewhere you might enjoy more or allow you to speak to a chef. • Bring snacks. 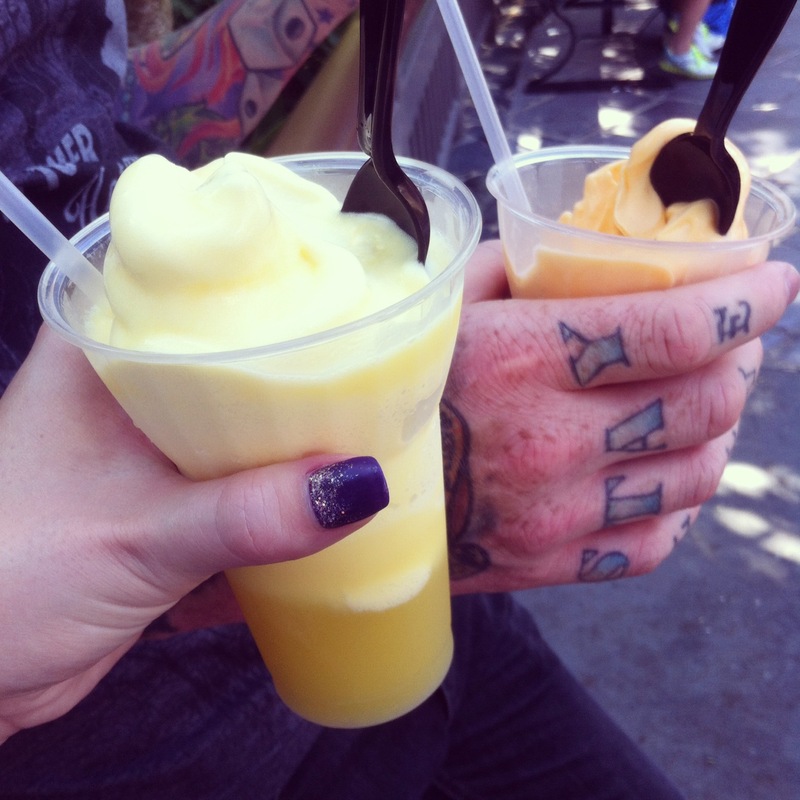 Even though Disney have plenty of vegan snacks, save some money and bring your own. Check our page before your trip for updated reviews, newest vegan foods and any vegan Disney news. I just wanted to say thank you for this blog! I’m newly vegan and I didn’t know what I was going to do during my vacation. This gives me so many options, easily laid out. You will be well fed and have a great time! Thanks for checking out our blog!